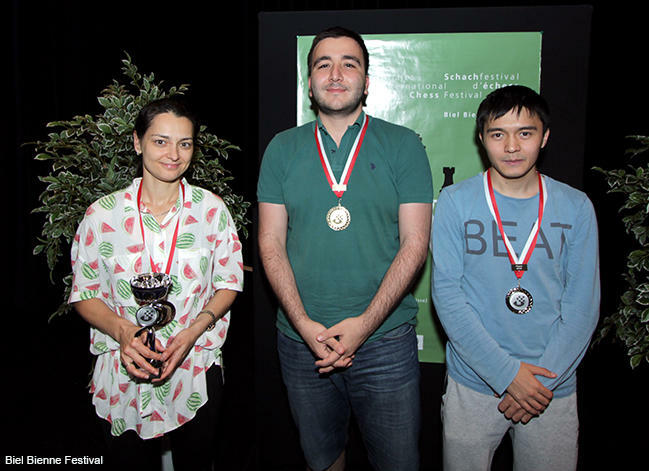 Azerbaijan’s grandmaster Eltaj Safarli won the gold medal at the Biel International Chess Festival, azerisport.com reported. He scored 7.5 points out of possible 9 points thus leaving everyone behind. Kazakh chess player Jumabayev Rinat took the second place, while the third place went to former World champion from Russia Kosteniuk Alexandra. Safarli won the Azerbaijan Championships in 2010 and 2016. The Azerbaijani grandmaster won the European Youth Chess Championship in Heraklion (Spain) in 2002, the European Youth Chess Championship held in Budva (Serbia). He was the bronze medalist of the World Chess Championship in Turkey among juniors up to 20 years and the winner of several other championships. Eltaj Safarli will represent Azerbaijan at the 42nd Chess Olympiad to be held in Baku this September.